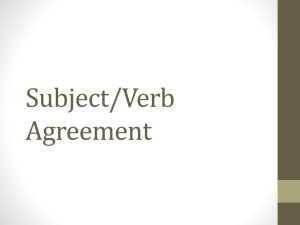 The subject performs the verb action.  Cornelius est senator Romanus. 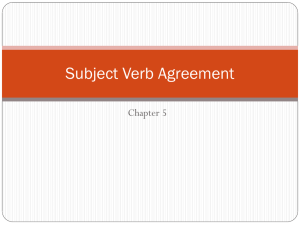 The direct object receives the action of the verb. 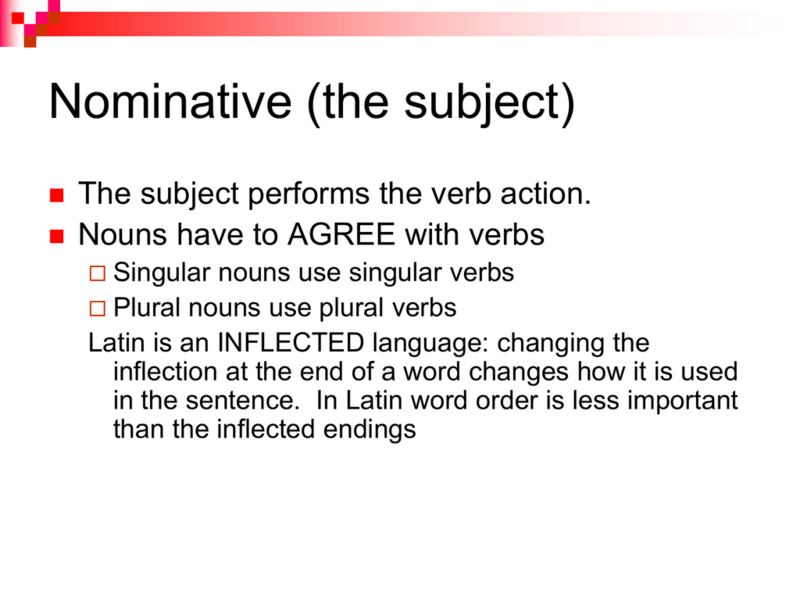 The singular accusative ends in an –m. 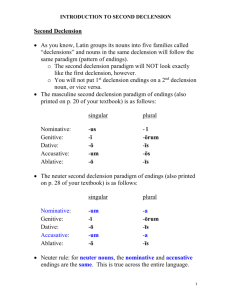  1st declension ends in –am. 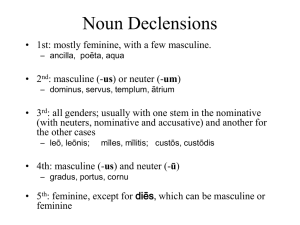  2nd declension ends in –um. 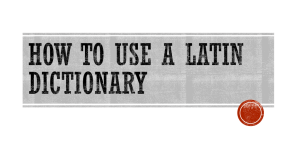 Plural accusative always ends in an –s. 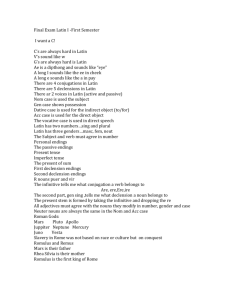  1st declension ends in –as. 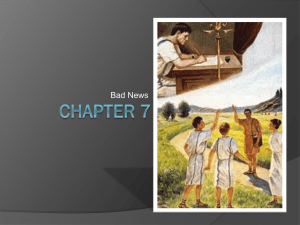  2nd declension ends in –os. 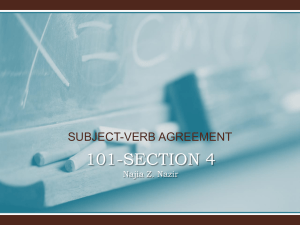 base of the noun is. 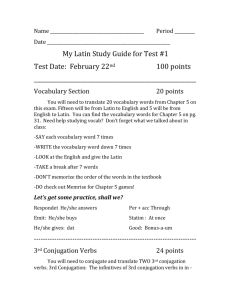  Time: answers Latin question Quando? Davus in fossā stat. Geta e villā effugit. Brevi tempore Cornelia est defessa. Cornelia in villā aestate habitat. •In what manner the action was done. 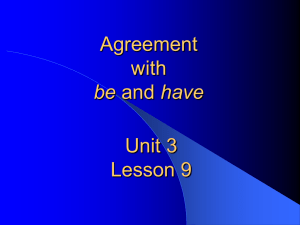 have learned are ad, per, prope, and in (“into”). 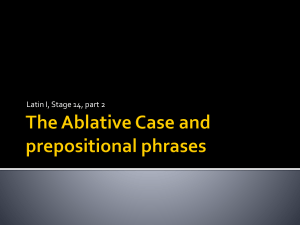 There are only 9 prepositions that “take” the ablative. Is used when calling someone by name. 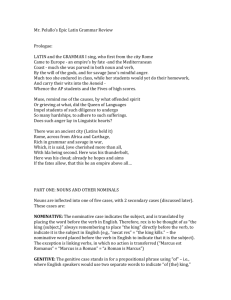 nouns have a vocative ending of –e.  -ius nouns have a vocative ending of –i. sentence could be “you” or “y’all”. 4. Cur nihil facitis, servi ignavi! 5. Pater! Nuntius in villā est! 6. Senatores! Tempus est ad urbem redire. 7. Cave, Sexte! Descende, Sexte! number as the noun they modify. 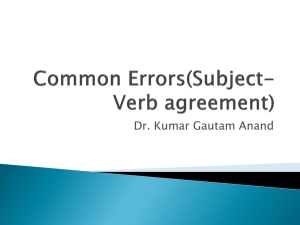 Verba have singular and plural endings. object, so don’t even look for one! 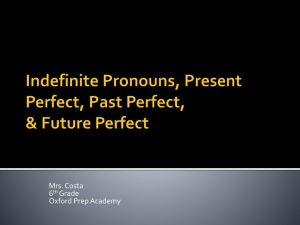 of separate pronoun subjects as English does. same pronoun subjects that English uses. 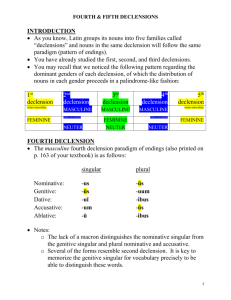 pronoun for a Latin sentence. correct ending on the verb. 3. Ancillae villam purgare para______. 4. Vosne ad meam villam veni_________? 5. Princeps senatores ad urbem revoca________. 6. Tu nuntium ad villam duci________. 7. Nos ancillas in villā non adiuva__________. verbs? Let’s give them names. Which conjugation / category do the following verbs follow? excitāre, conspicere, docēre, agere, induere, intrāre, venire? The imperative verb has no subject (“you” understood). 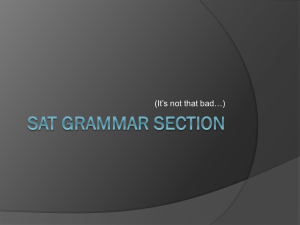 adding –te to the singular form. 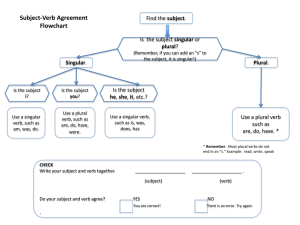 Imperatives plural in the 3rd conjugation end in –ite. Can never be the only verb in a sentence. the meaning of the sentence.